Rasdale Stamp Company is a highly reputed philatelic firm that is renowned for hosting public auctions in Illinois every four months. At the ripe age of 85, the company claims to be "the oldest family owned and operated stamp auction house in the United States." Public Auction #433 concluded successfully on Sunday the 20th of August, 2017. 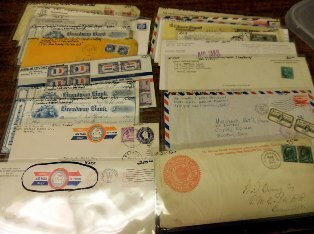 Since its inception in 1932, Rasdale Stamp Company has conducted 430+ successful public auctions in the United States. The 433rd auction attracted collectors from all over the world and it featured a wide range of philatelic lots including rare postage, coins & currency, sport memorabilia, postal history & stationery, collections, accumulations, stocks, supplies & literature, individual covers, reproductions, and picture postcards, from all over the globe. Pre-auction bidding ended on August 18, 2017 at 7:00 pm (New York time) and bids were updated at 7:36 pm on the same day in readiness for the live auction the following day. The main event kicked off at 10:00 am (New York time) on Saturday, August 19 in the company's auction gallery at 37 Chestnut Ave., Westmont-IL 60559. It ended the following day, August 20, 2017.